Many apps have beautiful icons nowadays. Looking at my own dock, I’m surprisingly pleased by the app icons for Postbox, Spotify, Chrome, MacDown, FocusWriter, Discord, iBooks, and Xamarin Studio. And then there are a handful of other apps that are ruining the simplistic beauty of my dock with their outdated and/or clashing icon designs. One of the nice things about Mac is how easy it is to change any app’s icon to any image that you want. Other OSes let you do this too, of course, but Mac is special in how intuitive the process is and how few hoops you need to jump through. Basically, take any image and open it in Preview A Complete Guide to Default Mac Apps and What They Do A Complete Guide to Default Mac Apps and What They Do Your Mac comes with a lot of apps for all sorts of tasks, but you may still be confused by what they do or whether you actually need some of them Read More . Once opened, click-and-drag your mouse to select the portion of the image that you want as the icon. (Hint: Hold Shift to keep the selection a square!) With the icon selected, go to Edit > Copy (or Command + C) to copy the image to your clipboard. Now open Finder and navigate to your Applications folder. Right-click on the app you want to change and select Get Info in the menu. At the very top, click on the app’s current icon — once clicked, it will have a blue ring around it. Now hit Command + V to paste your image as the new icon. Want to learn a few more tricks? 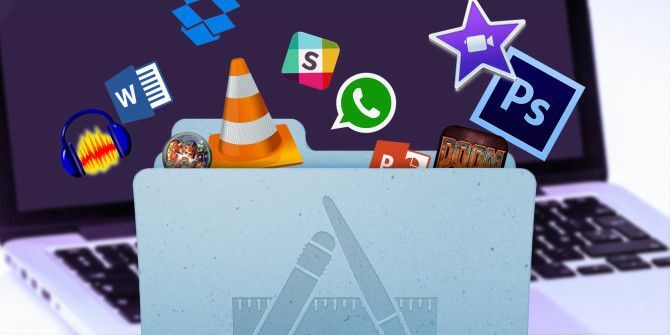 Check out these Finder tips for new Mac users 8 Finder Tips for Mac Newbies 8 Finder Tips for Mac Newbies Navigating files and folders using the native Mac file browser Finder is easy enough, but there are many more features hidden behind menus and keyboard shortcuts. Read More and these nifty tips for Preview 10 Tips You Need to Know About Mac Preview 10 Tips You Need to Know About Mac Preview Read More . I also recommend these Spotlight tips for true Mac efficiency Search More Efficiently In Mac OS X With Our Top Spotlight Tips Search More Efficiently In Mac OS X With Our Top Spotlight Tips Spotlight has been a killer Mac feature for years, with Cupertino regularly schooling Redmond in the art of desktop search. Here are a few tips to help you find more on your Mac. Read More . Did this help? Let us know if you have any questions. Also, if you come across an awesome icon set, please share with us below!